Ribbons assortment in various models Fizzy Moon Birthday Wishes Collection. 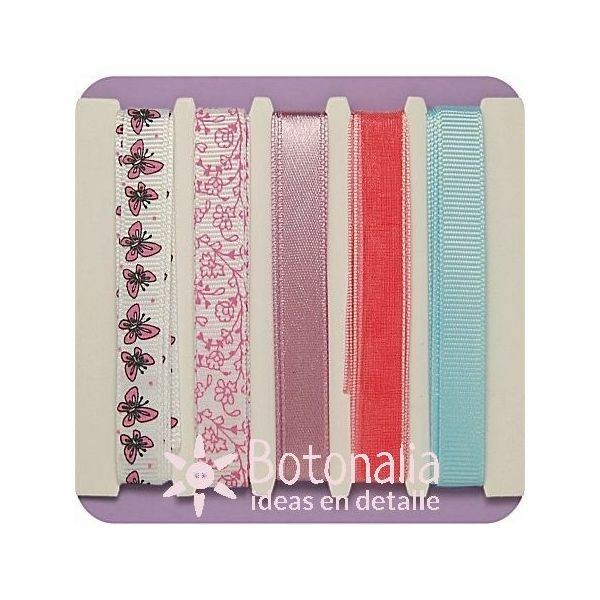 Ribbons assortment in various models Fizzy Moon Birthday Wishes Collection (grosgrain, organza and satin). Perfect for all type of craft, needlework, ornament and gift wrapping projects. Content: 5 m of ribbon: 2 printed grosgrain, 1 flat grosgrain, 1 organza and 1 satin.